WARSAW, Poland (JTA) – Three Polish teens who made a Nazi salute at the site of the former Auschwitz-Birkenau camp will be investigated by the local prosecutor’s office. One of the teens posted a photo on Instagram of the three making the gesture in front of the Death Gate, the entrance to Auschwitz II, or Birkenau, where trains rolled through bringing thousands of Hungarian Jews to be gassed. 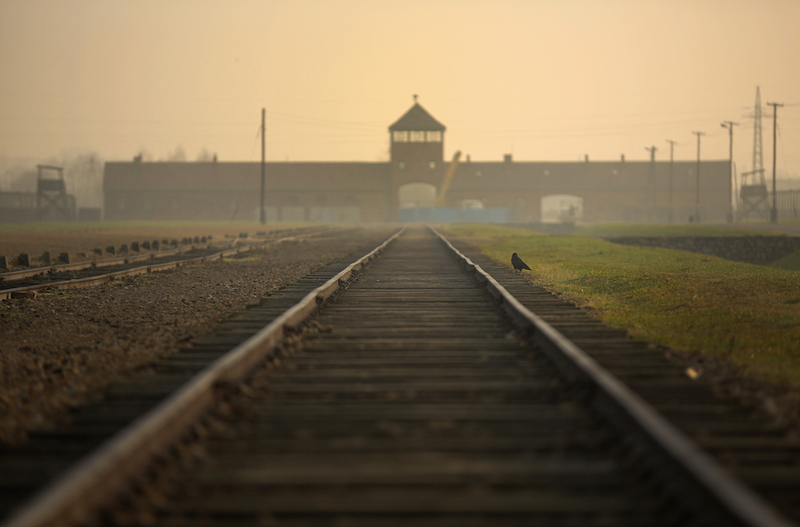 A representative of the Auschwitz-Birkenau state museum discovered the photo on social media. It was later removed but saved in a screenshot. Museum officials filed a complaint with the District Prosecutor’s Office in Oswięcim, where the camp is located. Propagating fascism is illegal in Poland. “This is shocking behavior — especially in such a tragic place,” Pawel Sawicki, a museum spokesman, told JTA. “The place where innocent people were imprisoned and murdered as a result of the criminal ideology of German Nazism.